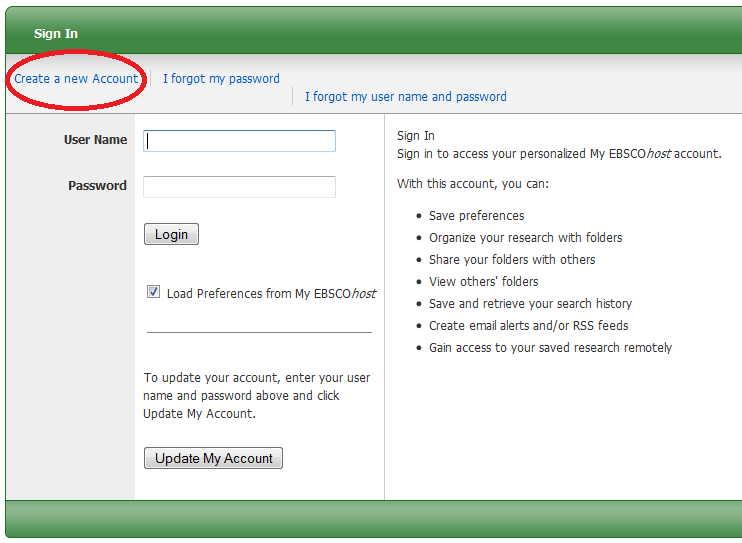 Creating a personal login for EBSCO Host has lots of great benefits! Get more organized with a personal log-in account through MyEBSCO Host! Never lose useful records to a lost internet connection or session timeout again! With MyEBSCO Host you can also establish personal preferences for interface language, results display, and citation format. Since Communication & Mass Media Complete, Communication Abstracts, and Film & Television Literature Index are all now available through the EBSCO platform, as well as many more databases across various disciplines, this feature is becoming increasingly useful.